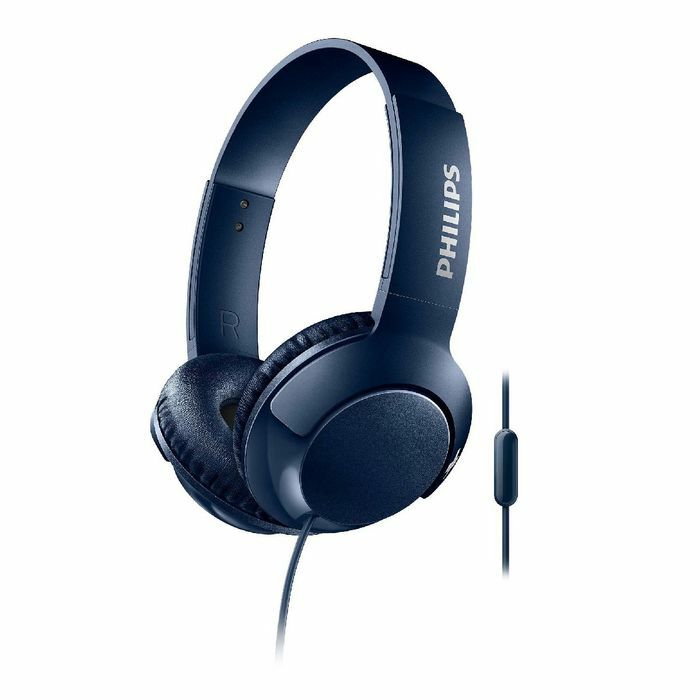 The Philips BASS+ Wired Headphones with Mic pack huge, punchy bass into a modern, compact design. They are great looking and superb value. These headphones are for those who need more bass in their beats without any extra bulk. 32 mm speaker drivers – BASS+ headphones feature 32mm speaker drivers that produce big, pumping bass. Designed for optimal fit – feature swivelling cushioned ear shells and an adjustable headband to ensure a great fit. Big, powerful bass – specially tuned drivers and bass vents produce ultra-low end frequencies to create a unique BASS+ sound signature. Portable – flat folding design for easy portability. Easy-to-use – remote control allows you to play or pause tracks and answer calls with a simple push of a button. Sound isolation – closed acoustic design, BASS+ headphones block out ambient noise. That's a great price thanks for sharing.